Home of timeless rock music and iconic acts such as the Rolling Stones and Bob Dylan, Uncut magazine prides itself on offering the most comprehensive reviews section in the monthly music magazine sector. 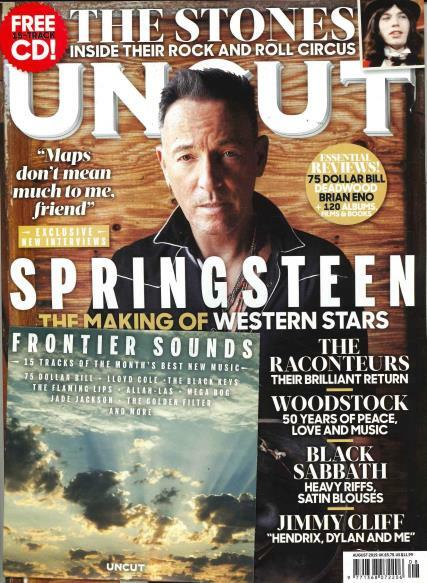 An Uncut magazine subscription is the ideal companion for every rock music enthusiast. Providing an engaging mix of classic rock, Americana, alternative country and coverage of upcoming acts, Uncut magazine also reviews films and music DVDs. Children of the sixties and seventies will enjoy being reminded of the golden age of rock which they grew up in, while learning of new artists and acts that are inspired by the classic riffs and beats of legends past. In addition, Uncut magazine features fascinating interviews with movie directors and the latest film news, allowing you access to all forms of entertainment in one complete guide. As an extra bonus, an Uncut magazine subscription provides readers with a free fifteen-track CD which brings you the month’s musical picks. Embracing, old and new, cult and classic, Uncut magazine really is the magazine of choice for everyone that is passionate about rock music as well as a bit of a film buff.